The QNX Neutrino RTOS Secure Kernel delivers the OS that companies creating aerospace, defense and security systems need to be able to meet the stringent safety and security requirements of mission-critical applications. In addition to the field-proven reliabilty of the standard QNX Neutrino RTOS, the QNX Neutrino RTOS Secure Kernel provides different privilege levels for different applications, mediation to verify all accesses, and a mechanism for resource protection. The QNX Neutrino RTOS Secure Kernel is more secure than other commercial operating systems, not just because its certifications say so, but because only a microkernel can provide proper isolation between all aspects of a system, including filesystems and networking stacks. This RTOS's unique adaptive partitioning technology guarantees system resources for applications, while preventing rogue software from denying resources to other parts of the system. During overload conditions, this same technology enforces hard resource guarantees, ensuring that applications receive their budgeted share of resources. 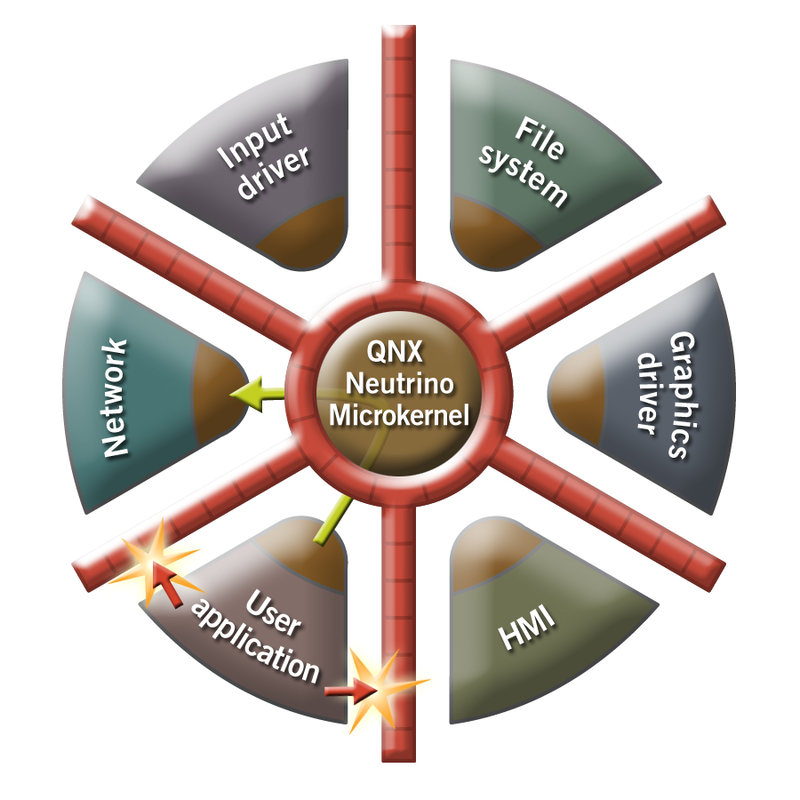 The QNX Neutrino RTOS Secure Kernel provides protective barriers between processes including networking and filesystems, which are typically within the kernel memory space in monolithic operating systems. Having proven its products in applications ranging from battlefield communications to the space shuttle, QNX Software Systems certified the QNX Neutrino RTOS to Common Criteria ISO/IEC 15408 Evaluation Assurance Level (EAL) 4+, and released it as QNX Neutrino RTOS Secure Kernel 6.4.0 in early 2009. In May 2011, a subsequent update, QNX Neutrino RTOS Secure Kernel 6.5.0 was released, demonstrating QNX's commitment to providing solutions to customers in the mission-critical space.